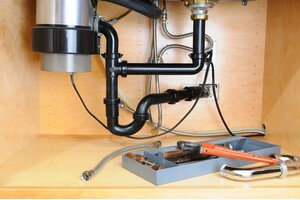 Any plumber will tell you that having a functional garbage disposal makes life so much more convenient. Unfortunately, it seems that homeowners have gotten careless about how exactly one should be used and maintained. You can quickly learn how much you rely on your garbage disposal once it goes out. Staying up with maintenance will help ensure that you get the best in performance and longevity from your system. Contrary to popular misconception, you can’t just put all of your leftovers and food scraps down the disposal. Nor should you neglect it until it needs repair. Learn more about what’s appropriate for your disposal and that’s purely food scraps. Keep things out of there like bones, fat, grease, or broken glass, just to name a few. When in doubt, look it up before sending it down the disposal. Some other foodstuffs to avoid are items that expand, such as rice or pasta. This can clog your disposal and plumbing. Again, if you’re unsure, go ahead and use the trashcan. Make a practice of breaking down larger objects before they go into the disposal. Even if your grinder can handle the job, do you need to make it harder for this piece of machinery than need be? It’s a good idea to throw a couple of ice cubes down the chute each month. This sharpens the blades and cleans away gunk that may be stuck on the blades. Only use cold water when running the disposal. This reduces the likelihood of oils or grease turning to liquid and then solidifying farther down the line which will lead to serious clogs. Hopefully you’re all aware of the importance of not sticking your hand into the disposal at all if possible but certainly not until you’ve unplugged it. Even then, try to use some sort of tool to grab anything that’s fallen instead of your hand. When you’re ready for Phoenix pluming repair service, reach out to our pros here at Now Plumbing. If you're looking for garbage disposal services in Phoenix, Arizona, call Now Plumbing at 480-294-6072 or fill out our online request form.